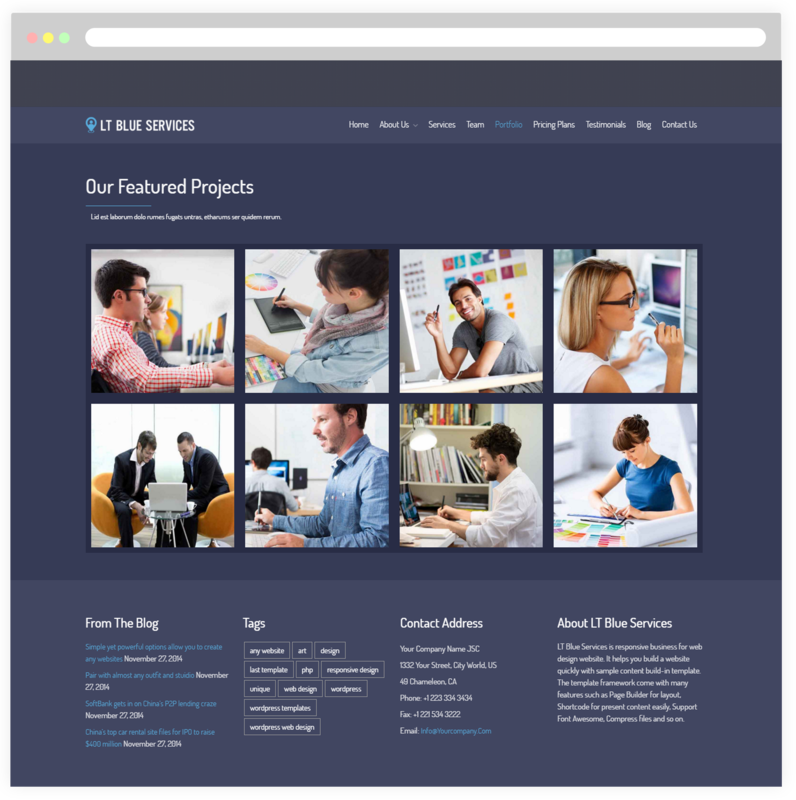 LT Blue Services is Responsive WordPress theme for business, portfolio and services websites to showcase your professional services, relationships, business strategies, team members and more. 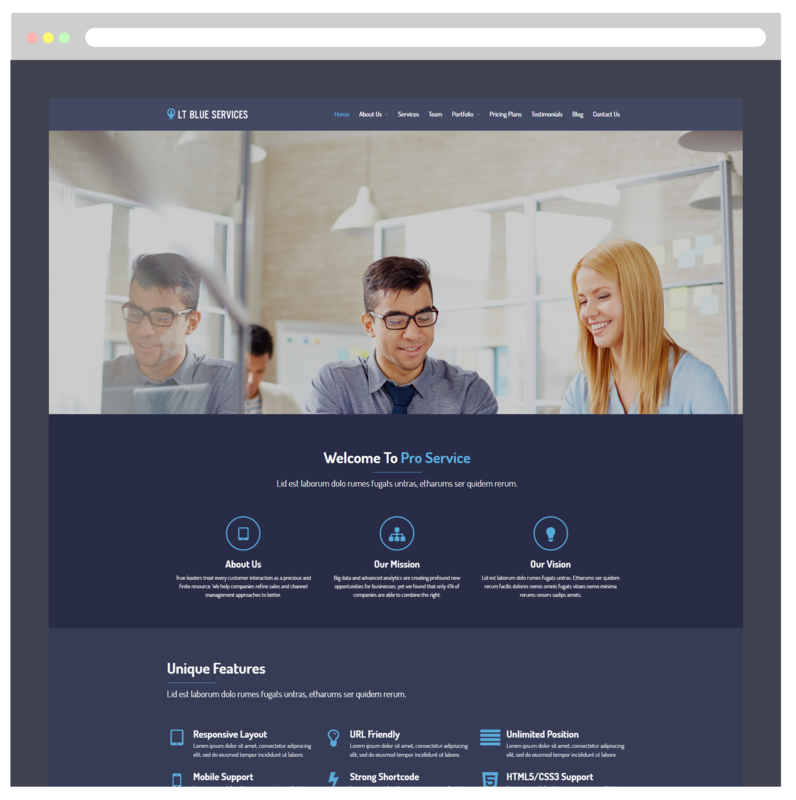 This is a simple and creative theme which makes your idea come to real products. 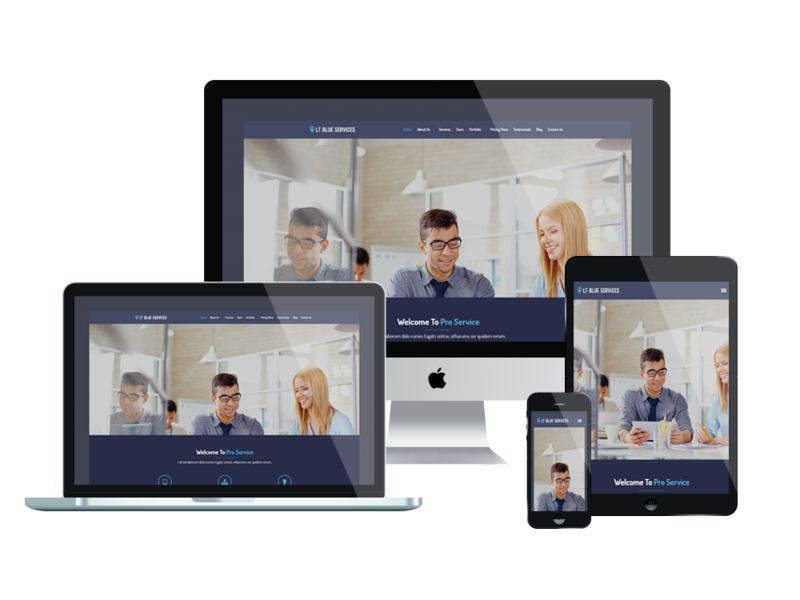 It is adaptable on all kinds of mobile devices with fully responsive layout, so your site can show off every design beautifully in the eyes of mobile users. 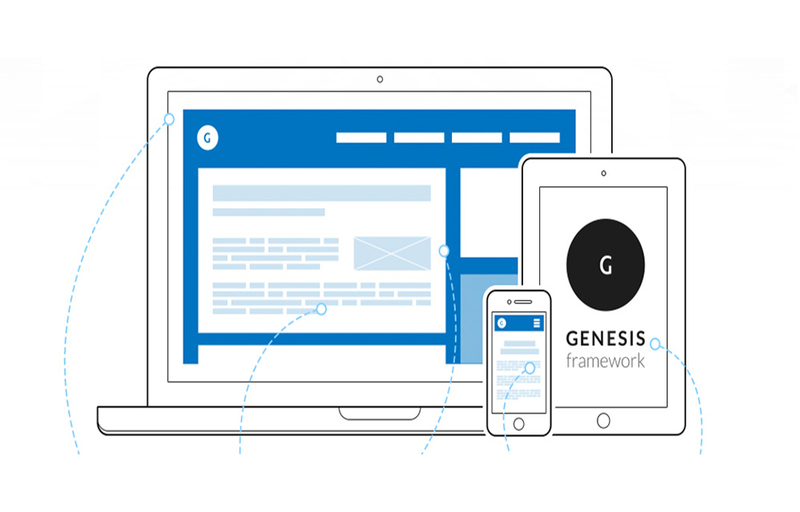 Furthermore, by building on powerful framework with full bootstrap and strong shortcodes, drag-drop layout content, Bootstrap CSS & Genesis framework, your site content will be displayed in the most eye-catching way, without any effort. 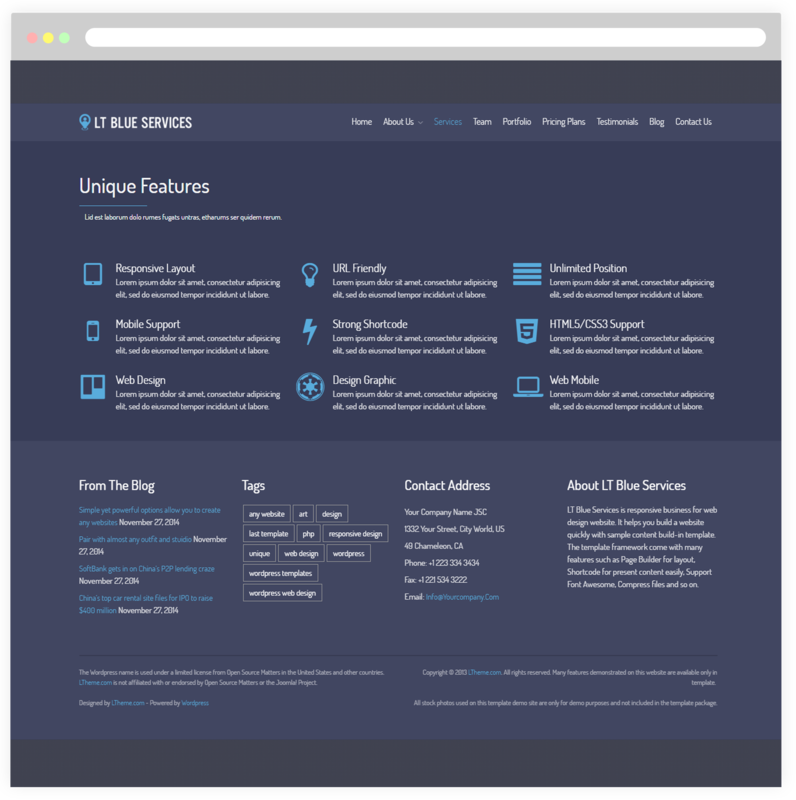 Plus, Service WordPress theme is highly customizable WordPress theme with unlimited color options and a color picker from the admin panel, therefore, creating an amazing appearance for your site is no longer a problem with you! Use this page to present why customers should choose your company as a partner. Besides, showcase the history, advantage or award of your company. 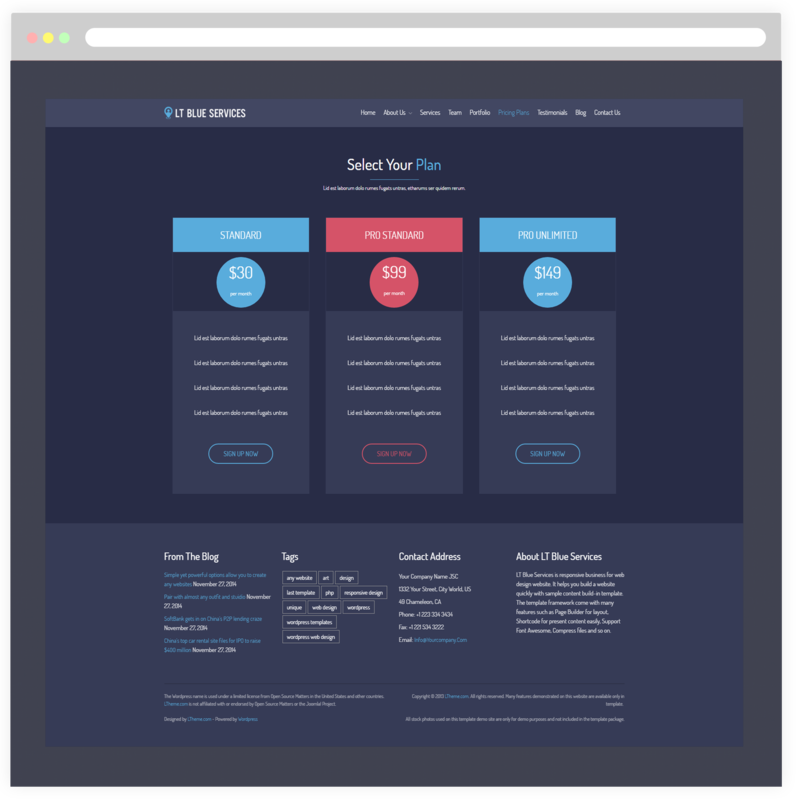 Here’s a preview of the pricing table we’ve designed for your service-based portfolio. You can update different prices that your customers can choose the ones they want. It’s simply to customize columns/rows and manage the pricing table from its built-in admin panel. Testimonials are online review alike. 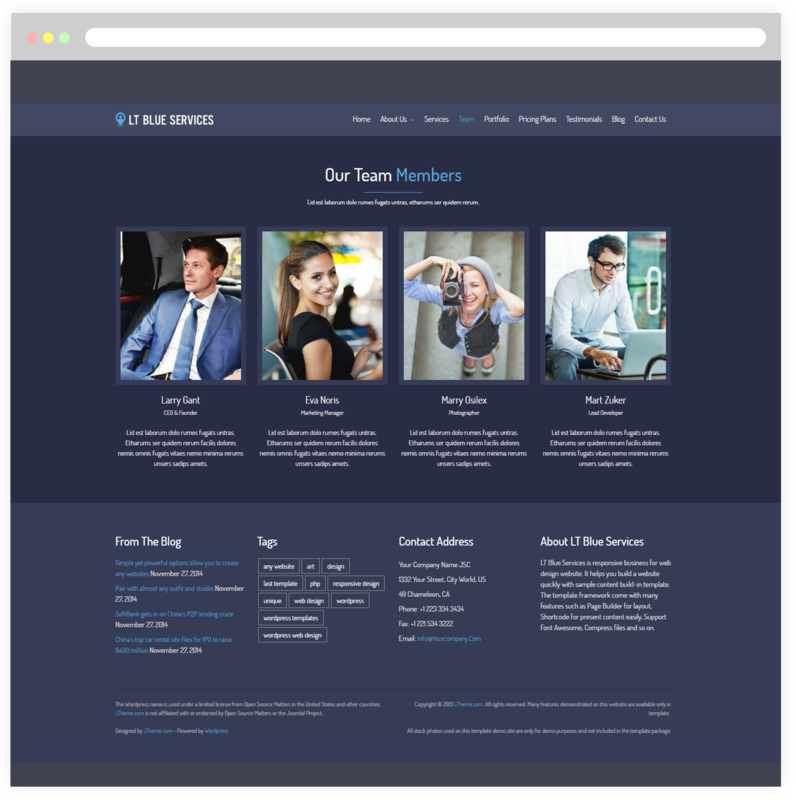 This WordPress theme comes with a dedicated testimonial archive page that allows you to easily display what customers or clients are saying about your business. 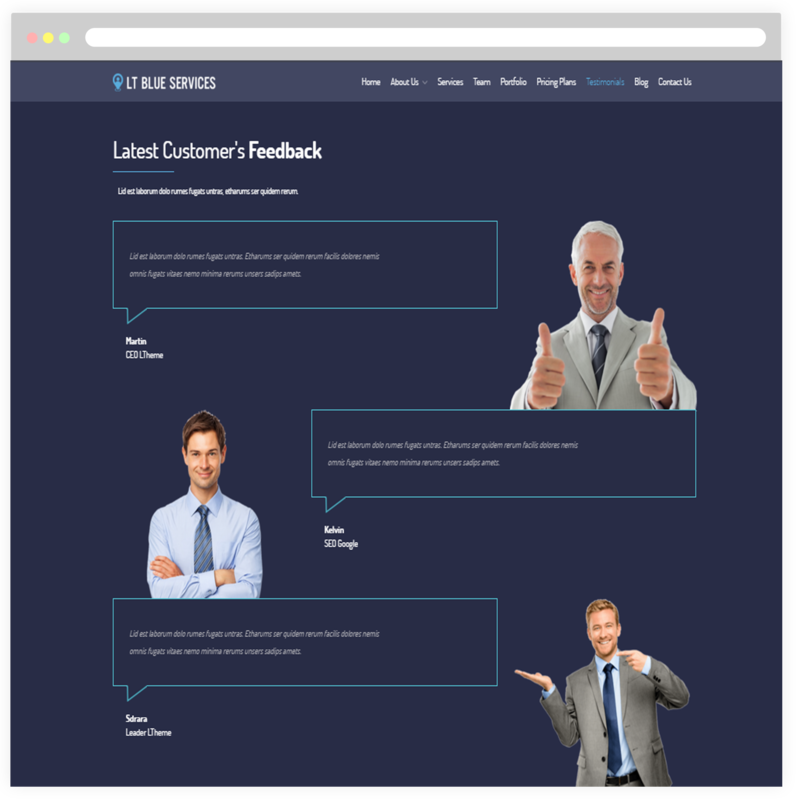 You can use it to showcase testimonials, reviews and quotes of your product or service in multiple ways! 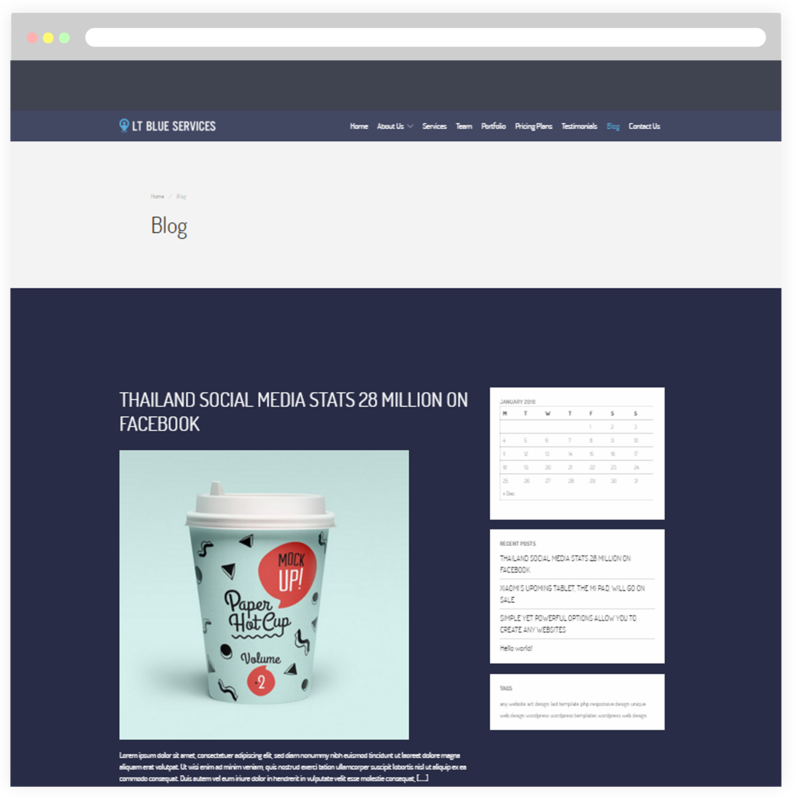 Create posts about the latest web design trends of your company. The social network is the best solution to help the products approach customers quickly. 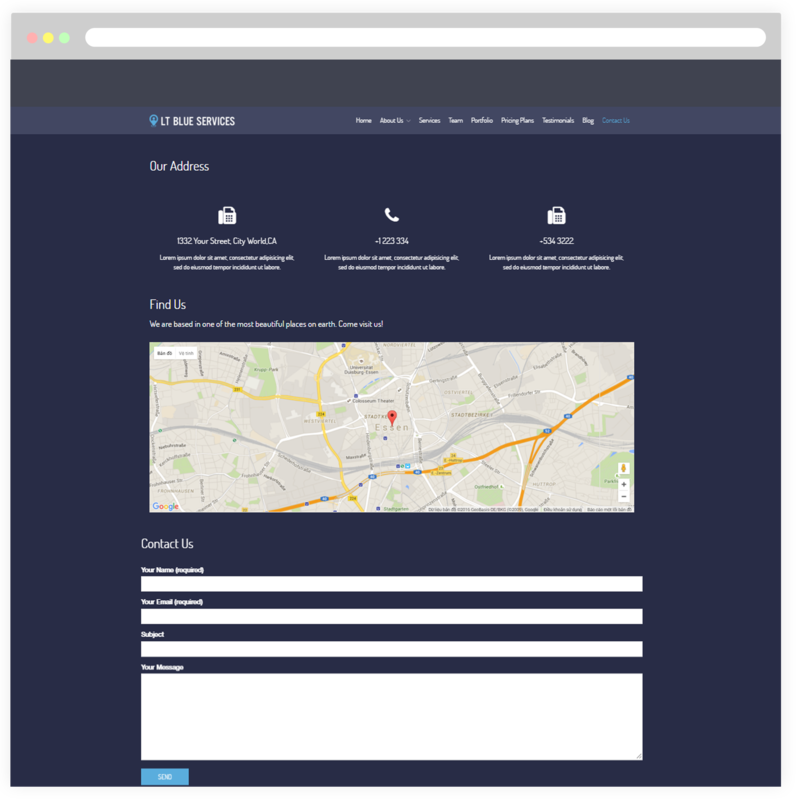 Use this page to provide customers with your company’s address, telephone number or email address. 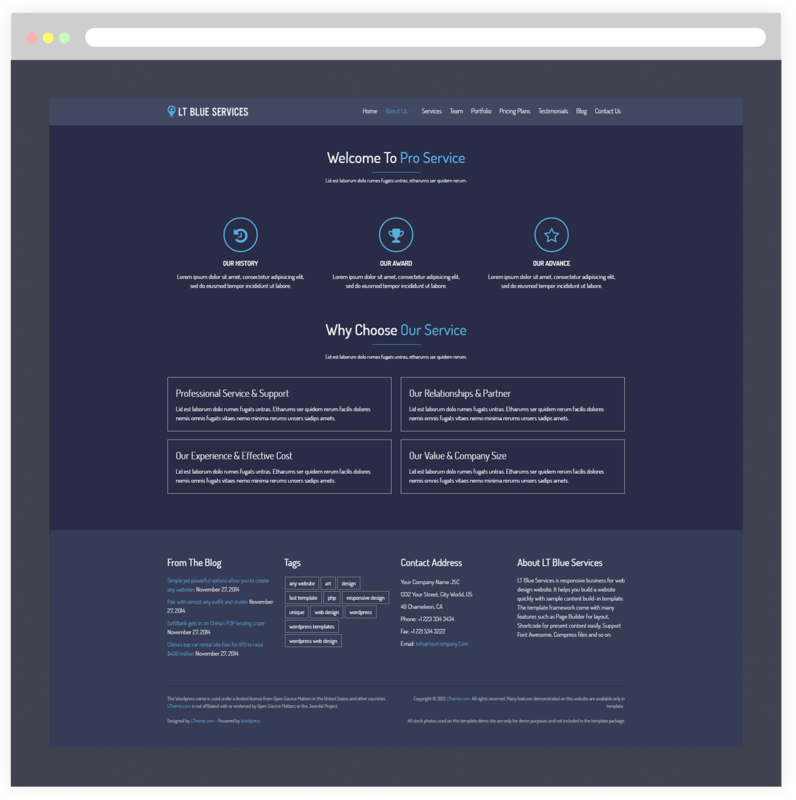 So with this built-in web form, customers can easily get in touch with you. Request more information about your services and give their feedback on using them.